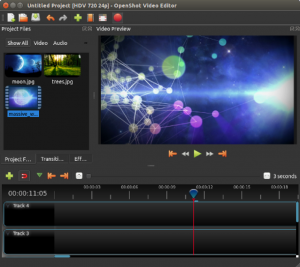 Top 5 Video Editing Software for Mac: What Plays Best with Apple? If the Mac OS was a person, it would be a high performing loner who doesn’t like the crowds or parties. Sounds about right, right? Well, it is because Mac doesn’t play well with most third-party solutions and extensions. But in the realm of video editing there are a number of software alternatives that do work without glitches, tapping the power of Apple’s operating system. 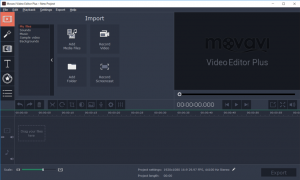 In this compilation, we will go over the top 5 video editing software for Mac and pitch in the pros and cons of the platforms. Movavi’s biggest strength is its ability to support over 30 common (and elusive) digital data formats. And the fact that it is compatible with both Windows systems and Macs. When you first fire the software solution, you aren’t distracted by dozens of buttons and cluttered menus. The intuitive navigation and clean interface put you at ease. The fact that the main panel icons are highlighted vividly, in an otherwise stark modal, provides a great starting point. Other unobtrusive but helpful design cues include a panel of basic editing tools that activates once a video footage is dropped on the editing timeline. This is Apple’s bundled editor. This means iMovie is built to function with a Mac OS. While the tool has seen many upgrades in the past year or so, including the ability to edit 4K videos, iMovie still crashes. And this problem occurs frequently! If your computer hard disk doesn’t have adequate space, it is likely that iMovie will give you a tough time. Also the interface, though clean and minimalistic, is quite different from the prototypical editing software layout, which may take a while to adjust to – especially if you’re changing tools. Export the content in a variety of formats and to a number of social media platforms including Facebook and YouTube. 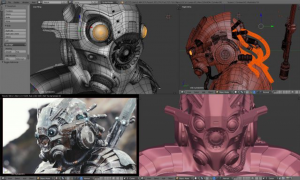 Blender may not be as popular as some of the free tools that work with Windows, but it deserves mention as one of the only suites allowing 3D editing and compositing. Blender is constantly evolving since it is an open source tool. The Blender.org community is active and provides user support. So what can you do with Blender? Using this tool to trim and crop footage is like using a blender when a spoon would work fine! Pun intended. Needless to say, Blender is not for beginners. It is a mature tool and serves experienced editors the best. But its fit with Mac is near faultless. Open Shot looks like a 90s video game. But don’t discount the solution just yet. Behind the almost jejune interface are a number of sophisticated features that most seasoned editors appreciate. Open Shot is free and it is compatible with the Mac operating systems. Last but not the least, it is time to take a look at Avidemux. The tool has been around for a while and works equally well with Mac and Windows systems. Avidemux is a no-fuss editor that gets the job done. What it lacks in terms of robustness, it makes up with its underwhelming interface that encourages exploration. 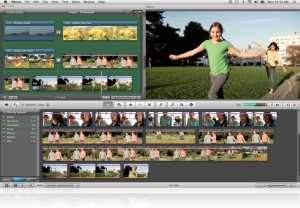 If you have a list of video editing software solutions that play well with Mac, let us know. We’d love to expand our selection! © 2019 Video Editor Software.